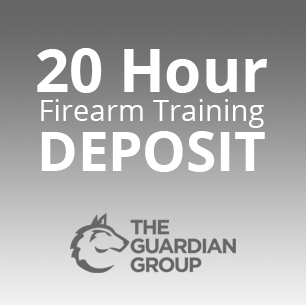 The course leads to a 20-Hour Firearm Training Course Completion Certificate of the required subjects, to obtain your Firearm Training Certification from the State Of Illinois. All individuals who want to be employed as a armed private security guard in the State of Illinois must complete the 20 hour Armed Security Guard Training Course at a state-licensed training facility. Start your career in the security and investigation industry today! The total cost of the two (2) day session is $150. Classes are held at 3004 W Belmont Ave, Chicago, IL 60618. Classes are scheduled from 10:00 AM to 8:00 PM with an intermission in between.